Following a few of our links to the leading online casinos, making a deposit and having some fun on the latest games and slots is great fun. In fact, the smorgasbord of offerings inside our recommended sites is so filling that you’ll often want to gorge yourself for hours on end. For us, that’s just par for the course. However, for your body, the process of sitting at your desktop (or wherever you play) can become a little taxing. Are we talking deep vein thromboses here? Of course not. However, when you sit for an extended period of time, the body does start to become uncomfortable and that’s basically a sign that you need to start moving. Now, we know that it’s hard to tear yourself away from the action when things are going well. Just like a gamer that wants to make it to the next level, it’s easy to get lost in casino games. Because we don’t want your bodies to suffer, we’ve decided to put together a little exercise routine you can perform at your desk. Although these exercises won’t have you looking like Arnold Schwarzenegger in his prime, they will keep the juices flowing and, importantly, keep you feeling relaxed and fresh! For us, breathing is just as important as any other exercise. Contracting your respiratory muscles is equally as important as contracting your biceps. With this in mind, we want you to try Sama Vritti. Otherwise known as equal breathing, this technique is something yoga newbies use to get themselves into the zone. Put simply, all you have to do is inhale through your nose for a count of four and then exhale (again through your nose) for a count of four. Once you’ve mastered the four-count, move to six and then eight to help you achieve a state of relaxation. Your shoulders are one of the areas that becomes most affected by the gaming process. Propping yourself up and hunching forward to control a keyboard, mouse or controller can result in tension building up across the neck, shoulders and upper back. A useful exercise to counter this is the isometric shrug. For those that don’t know, isometric contractions are those that put the muscle under stress without the joint angle changing. To put it another way, you contract your muscles without moving a limb. To perform an isometric shrug, grab the sides of your seat and push up as if you’re trying to get up (but don’t actually get up). Hold this contraction for around ten seconds and then release. Perform this move ten times to help improve your shoulder strength and fluidity. Your arms are the key to your gaming success because, at the end of the day, they’re the connection point between your brain and the game you’re playing. Because of this, it’s important to keep them loose, relaxed and strong. Performing arm extensions every 30 minutes is a great way to keep you limber when you’re playing any sort of game online. To start the move, let your hands hang at your side. From here, raise them in front of you to shoulder level, hold for a second and then splay them out to the side so you look like a giant T. Again, hold for a second and then lower down to your sides. That’s one rep. Perform this ten times to help give your arms (and shoulders) a power boost during an extended session. To finish off our quick chair-based workout, use leg raises as a great way to target your quadriceps and abs. 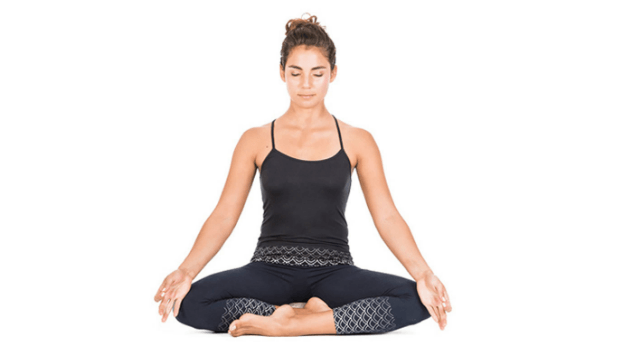 As simple as extending one leg from the knee and holding in a straight position for around five seconds, this move will help you avoid that restless feeling your legs get when you sit for a long period of time. In fact, when you combine this with a calf raise – go up on your tiptoes and back down multiple times – you can keep you legs in great condition as you play your favourite games. As well as helping your legs, this exercise engages the core. By holding this movement, you’re forced to tense your abs to keep the leg in place. The core is perhaps the most important group of muscles in the body and sitting for long periods can really knock it in terms of strength and power. This exercise will help to counteract this. In fact, when you put all of these moves together, you should be able to stay fit and fresh, regardless of how much you’re enjoying the top online casino games.